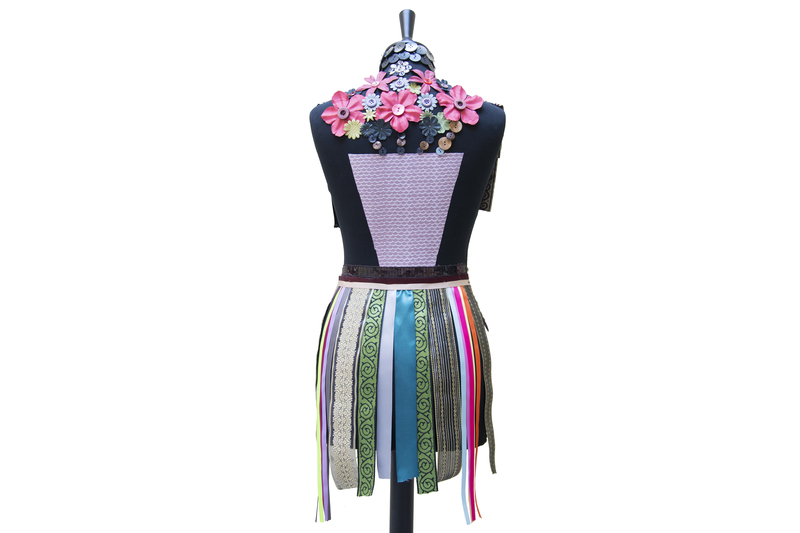 Elegance and fashion inspires this design. 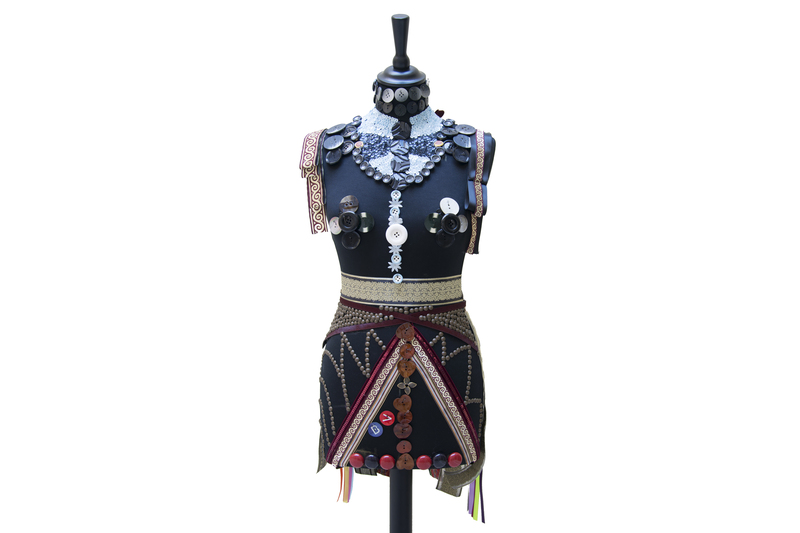 The front evokes a suit from a gentleman or even from a toreador made of Louis Vuitton buttons and selected ribbons originating from the city of Seville. 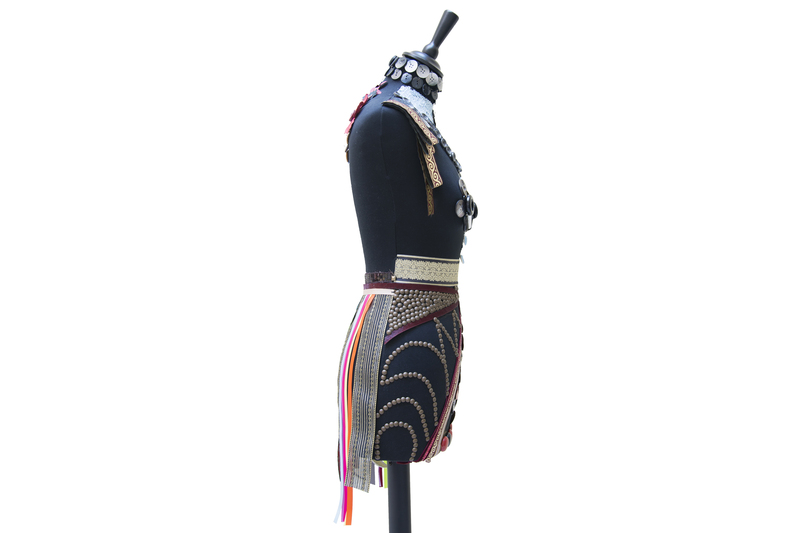 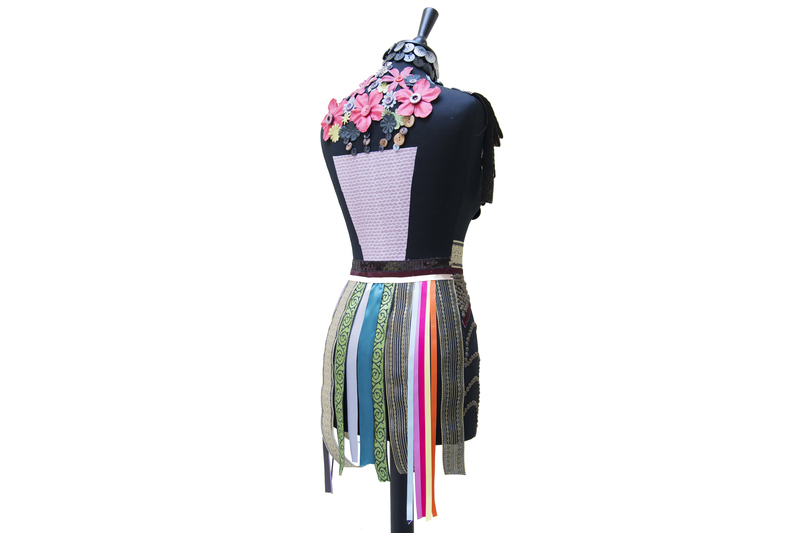 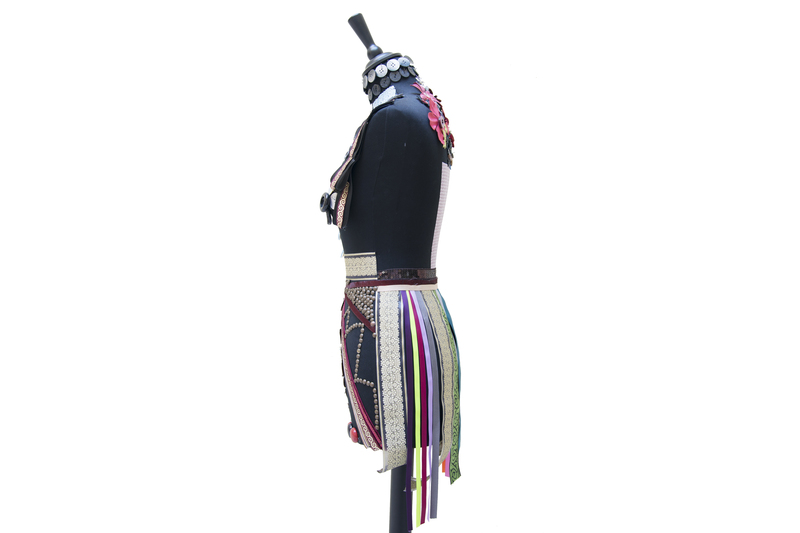 The back is a colorful explosion of moving ribbons sewed to emulate a skirt. 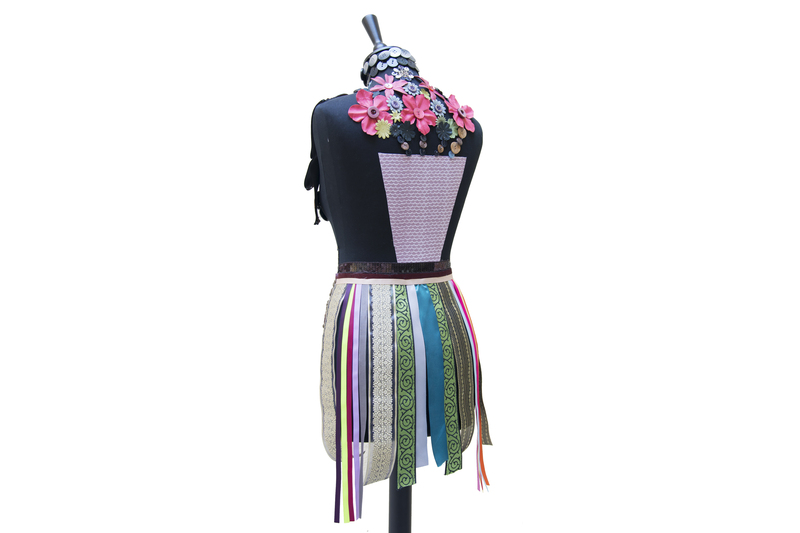 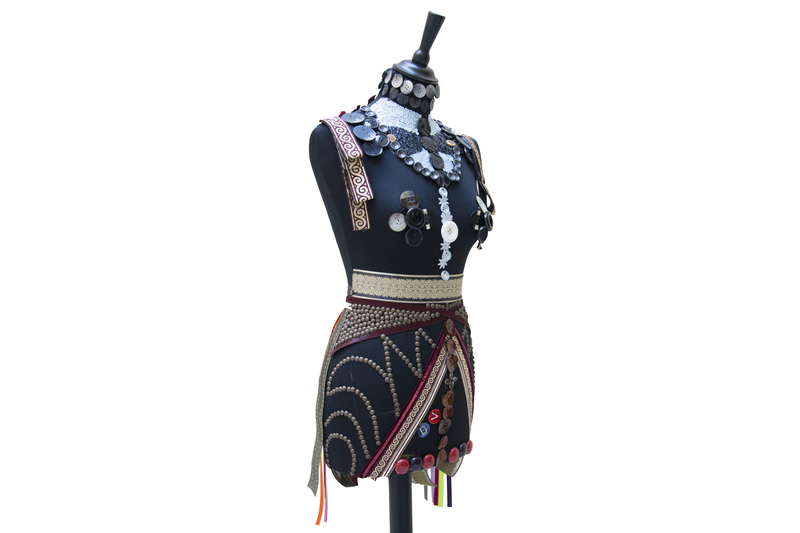 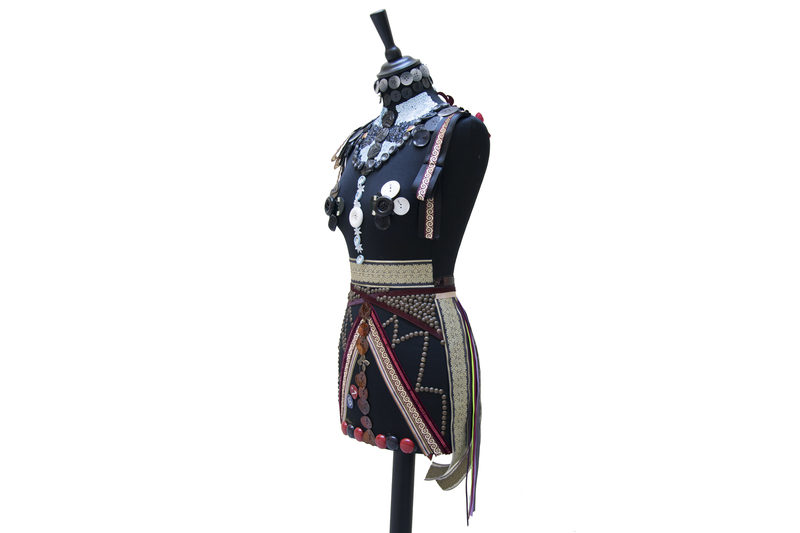 From the skirt’s belt, a vase is seated with a bunch of flowers made of buttons and paper flowers.